Sometimes, the benefits of a virtual assistant are not strictly business focussed. It can be that life events and the administration that they require can tip the balance and overwhelm an individual. 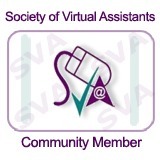 Personal assistants can therefore be called upon to provide administrative support to any person requiring it. In this instance, a major house move was simply too large scale a project for our client to manage alongside their daily work-life balance. From organising logistics to liaising with suppliers, Starfish Admin Services supported the house move process from start to finish. Moving house is one of the five most stressful life events that an individual experiences. It is also the most likely occurrence to coincide with other stressful life events. So if you own and manage your own business, it can feel impossible to achieve a balance. There may simply not be enough hours in the day. The administration involved in this house move could be entirely outsourced. So from researching and liaising with a removal company to ensuring that the itinerary of moving day was arranged and checked, our administrative support was invaluable. At Starfish Admin Services we can even draw up complete itineraries for days around moving day too. We implement detailed plans to ensure that all packing and boxes are systematic and logical. Something that will make the unpacking process far less painful. An office move can be similarly stressful, especially when you need to hit the ground running in your new location. Managing across departments, an external assistant can ensure that the packing of paperwork and technology is consistent across an entire organisation. This will bring great benefits at the other end when you want to get straight back to business! Our support need not be limited to the move itself. If you need a first point of contact to take any business calls, we also have the expertise to cover this. Essentially, the key to moving location efficiently is to manage multiple demands on your time. Our client found that Starfish Admin Services were perfectly placed to provide the flexibility and range of support that saw them through. So all that was left for them to focus on was settling in!